Retha was the oldest daughter of William & Lois Motsinger. She was born in the family country home near Benton, Iowa and lived her whole life in Ringgold County except for one year when her family relocated to Colorado. She attended numerous rural schools before graduating from Kellerton High School and then continued her education in preparation for a teaching career. After completing her studies she taught in 3 rural schools; Salem, Flowery Glen, and Side Hill. William H. (Bill) French and Retha Motsinger were united in marriage August 5, 1949 and were devoted companions for fifty-seven years. Retha was a talented artist with the ability to teach her skills to numerous students during the time she owned and operated an art and craft studio. Her love of children enabled her to be a devoted mother and advocate for the health and well being of every child. She was baptized in the Kellerton Christian Church and was faithful, being called to teach Sunday school at many age levels, pre-school, Junior and Senior High, and older ladies classes. 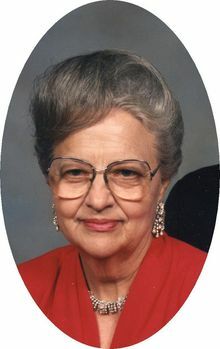 Retha passed away on January 21, 2007 at the Health Care Center in Mount Ayr. Those who preceded her in death were her father, William (Bill) Motsinger; mother Lois Motsinger; and one brother Robert Motsinger. Family remaining to cherish her memory include her husband William H. (Bill) French; her two sons William Jeffrey French and Robert Howard French; one daughter Amy Lois Dunn and husband Paul; 7 grandchildren Cory French & wife Jenn, LaShay, Chase, and Austin French, Ryan Still & wife Pam, Caitlyn Still, and Aurora Dunn; 3 great grandchildren Brooke and Taylor French and Trenton Still; 2 sisters Rose Marie Merrill & husband Dean and Judy Minnick & husband Lyle; nieces, nephews, her church family and friends unnumbered. Retha will always be remembered for putting her family and friends first. Many in the community will recall her volunteerism and championship of the underdog. She taught many people to express their creativity through hours spent conducting painting lessons. Faith through works was how she lived her life. She will be missed by all she touched with her joy for life and ability to have fun wherever she went.